The law often hinges on technicalities, which is why technical accuracy is critical in ensuring that all parties to a lawsuit have a fair and adequate understanding of the issue and that courts operate efficiently. Despite this importance, courts do not want justice to be skirted on the sole basis of a technical error. The Second Circuit Court of Louisiana emphasized this sentiment when it allowed a woman to recover damages for battery, despite the fact that she only alleged negligence in her pleadings. The court was able to do so under Louisiana’s fact-pleading system which allows recovery as long as the facts necessary to establish a claim are pled. The incident from which this case arose occurred on July 14, 2012, on the shoulder of Highway 84 near Winnfield, Louisiana. Devon Zimmerman and Michael Carter were in a Monte Carlo when, according to Zimmerman, a person driving a Hummer, (Hummer) sideswiped the car. The vehicles then parked on the shoulder of Hwy. 84. After parking, Zimmerman and Hummer got into a physical altercation which Carter broke up. Minutes later another party arrived and parked behind Zimmerman’s Monte Carlo, trapping the car. One of the parties in the lawsuit alleged that the driver of the Hummer then returned to the Hummer and rammed the Monte Carlo three times. Zimmerman’s insurance company, State Farm, later determined that the Monte Carlo was a total loss. Zimmerman filed suit against the parties who she believed were at fault and Progressive their insurance company. Progressive alleged that the events were not accidental. The Trial Court dismissed Progressive by directed verdict on the grounds that the acts by the driver of the Hummer were clearly intentional. The jury found the driver of the Hummer at fault for intentionally ramming the Monte Carlo, further finding that Zimmerman’s actions were not a proximate cause of the accident. The jury found that Zimmerman proved physical and emotional pain suffered as a result of the accident and awarded her $70,000 in general damages and $12,819.50 in medical special damages. It also found the driver of the Hummer liable for all costs of litigation. 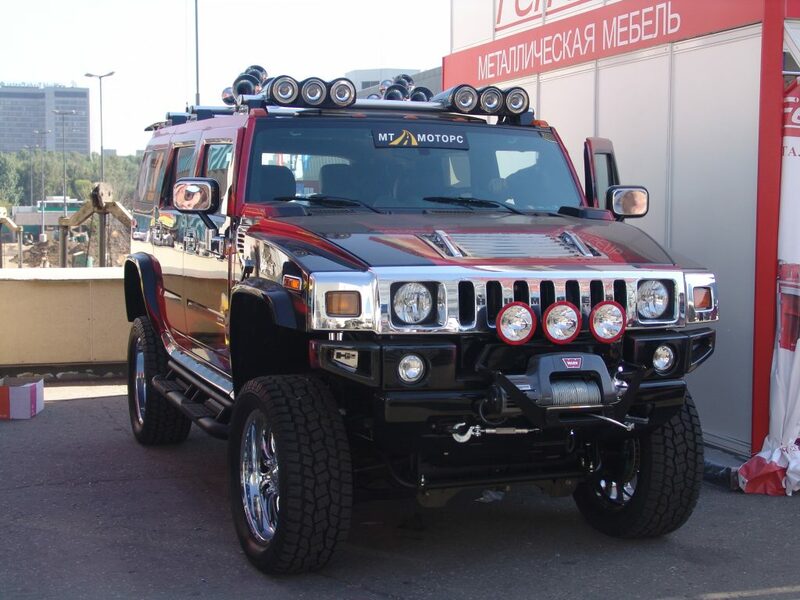 The driver of the Hummer appealed the Trial Court’s decision, alleging three errors. The driver of the Hummer’s first allegation was that Zimmerman failed to meet her burden of proof regarding liability. Hummer based this on the argument that Zimmerman’s petition only alleged negligence, while at trial Zimmerman presented evidence of an intentional tort. Because Zimmerman only presented evidence of an intentional tort, Hummer argued that she failed to carry her burden of proof on the theory of negligence. The Second Circuit noted that Louisiana is a fact-pleading state. This means that the general rule states that as long as the facts that make up a claim are proven, the party may be granted the relief to which he or she is entitled under the law. La.C.C.Part. 865. Under this system, the petition must state the act that he or she will prove at trial and must lay out the facts upon which recovery is based, so that the defendant will have the necessary notice of the claim and opportunity to counter the claim. Robertson v. West Carroll Ambulance Serv. Dist., 39,331 (La. Ct. App. 2005). In Louisiana, pleadings can be expanded by evidence introduced at trial. The pleading at issue must be considered in light of all other matters related to the pleading at trial. After doing so, if it is more reasonable than not that the party opposing the pleading received fair notice and was informed of the pleadings’ consequences, then the pleading will be held legally effective. Townsend v. Cleve Heyl Chevrolet-Buick, Inc., 318 So. 2d 618, 623 (La. Ct. App. 1975). The driver of the Hummer based the argument that Zimmerman’s pleadings should have been amended on Sledge v. Continental Cas. Co., 25,770 (La. Ct. App.1994) (Sledge) but, the Court of Appeal found that Sledge was not analogous to this case because in Sledge the pleadings failed to allege fault of a specific party and expansion of the pleadings was not allowed. However, in this case, Zimmerman did identify Hummer as the party at fault and she alleged material facts that would allow recovery. The Second Circuit found that Zimmerman could recover from Hummer for battery, even though Zimmerman’s pleading only alleged negligence. This was allowed by the court because Louisiana is a fact-pleading state and Zimmerman alleged material facts that would warrant recovery for battery against a specific party, Hummer driver. The driver of the Hummer was on notice that she may have to defend herself against a battery claim and had a fair opportunity to argue her innocence. This case highlights the fact that an experienced attorney, who is licensed in Louisiana, can help any party navigate the state’s fact-pleading system in accordance with his or her clients’ best interests.